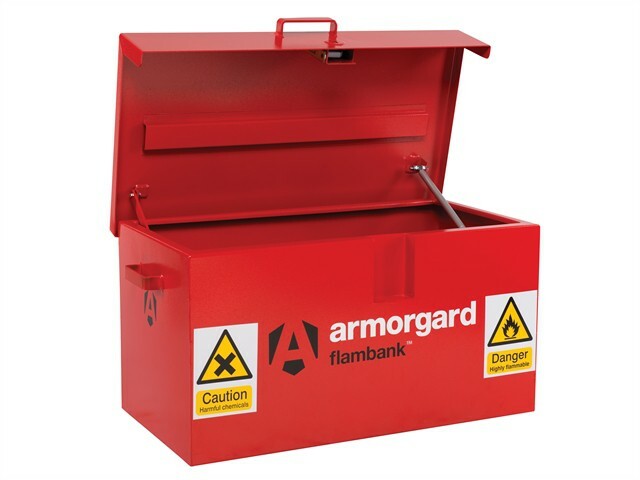 The Armorgard FlamBank™ Hazard Vaults are constructed to the same specification as the Tuffbank. They fully comply with all regulations for the safe storage of chemicals and flammables, built to 30 minute fire resistance. High and low-level ventilation to prevent build-up of fumes, and flame arrester gauze fitted on all boxes. Also suitable for the safe storage of chemicals.